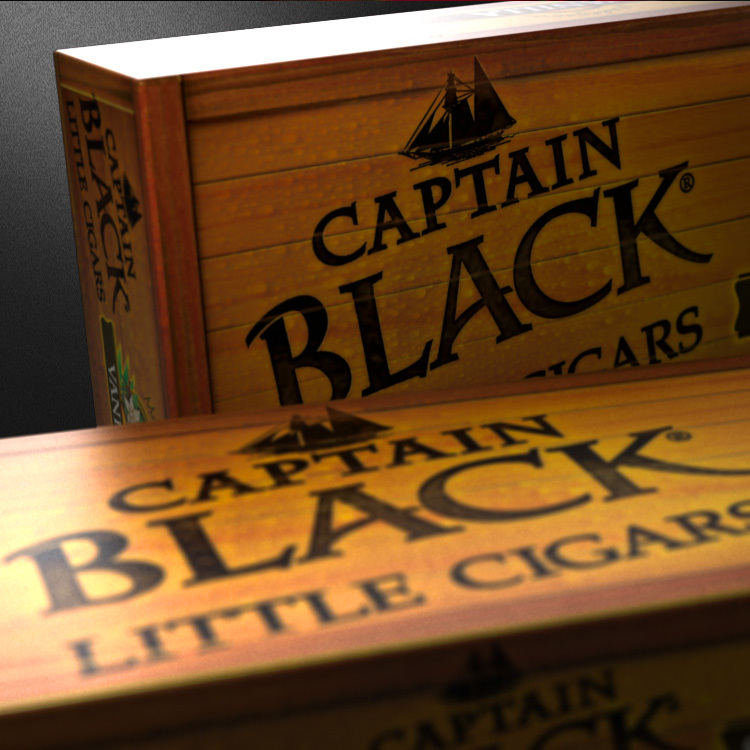 When we were awarded the rebranding initiative for Captain Black® Little Cigars, we knew it was a big opportunity to help them make some major waves. 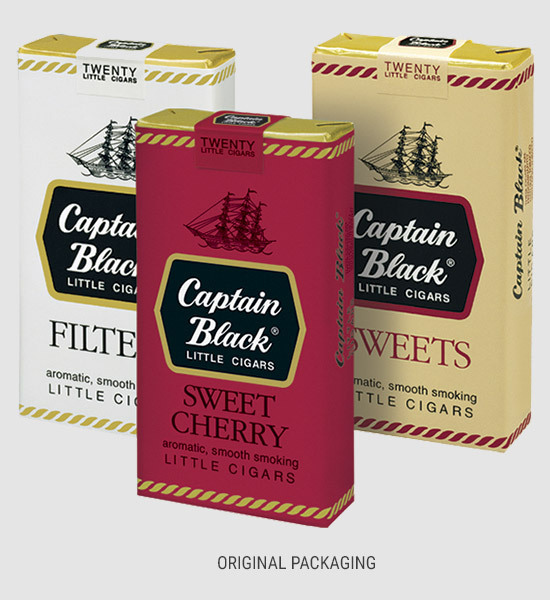 And thus was born “an exotic and flavorful adventure in smoking” that forever changed the course of Captain Black! 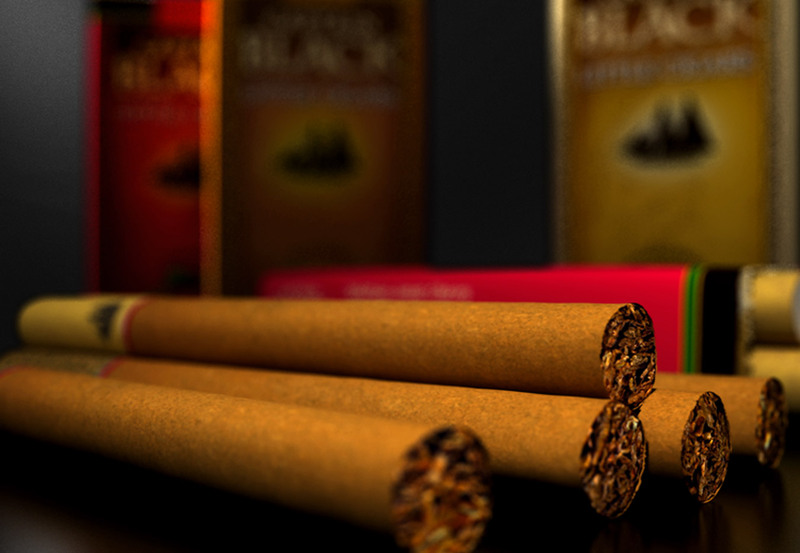 Helping a 60-year-old brand that was stagnant and consistently underperforming in the little cigar category “rise from the ashes,” (so to speak), would require more than a fresh new look. As a first step, we gathered insights from focus groups, online surveys and sales data to better define our target consumer and identify the emotional and rational drivers to influence purchase. 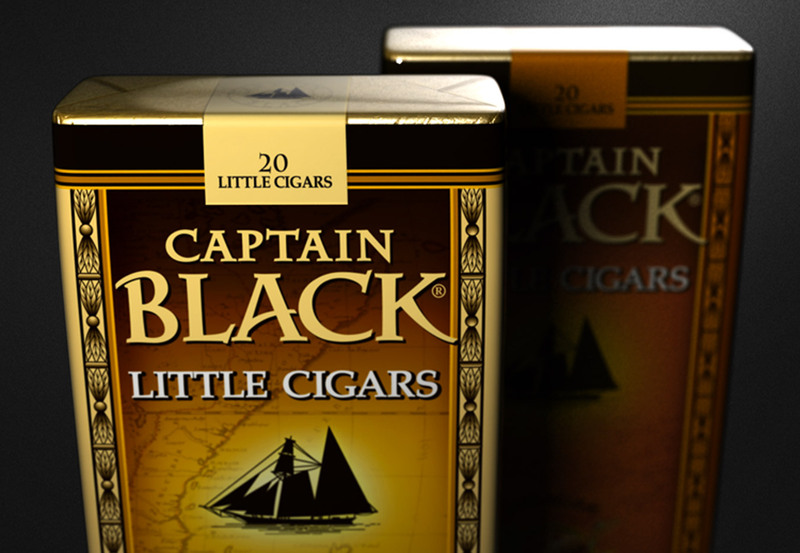 Based on our findings, we sought to establish a powerful new marketing position that would ultimately relaunch Captain Black as a new line of high-quality, flavorful little cigars supported by a packaging design inspired by Captain Black’s worldly adventures. With multiple packaging concepts to support the new creative platform and brand positioning, we shelf tested our ideas with current customers and packaging focus groups to better understand purchase intent, design preference and product descriptor preference. The result? 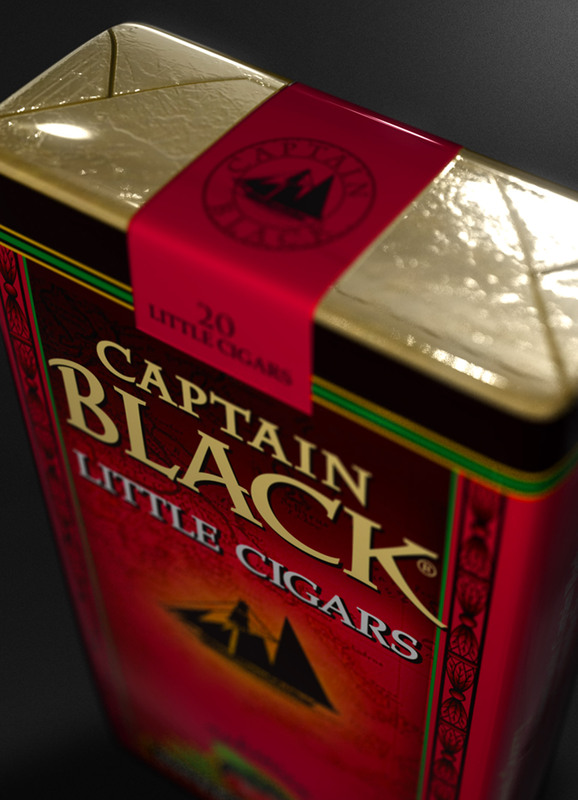 With the new “exotic and flavorful adventures in smoking” positioning splashed across all of our creative elements, sales of Captain Black grew by more than 180% in the first 6 months, and market share doubled in the first year! 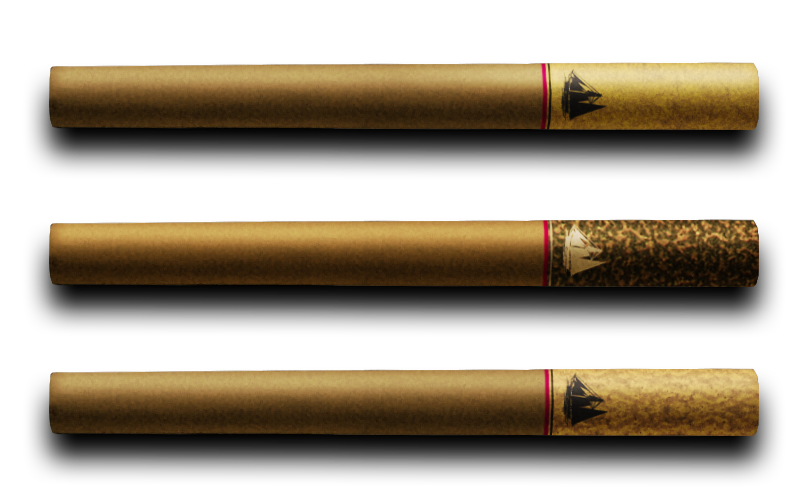 In fact, the launch was so successful, R.J. Reynolds/Lane Ltd. awarded us a second rebranding initiative for their Winchester® Little Cigars brand. 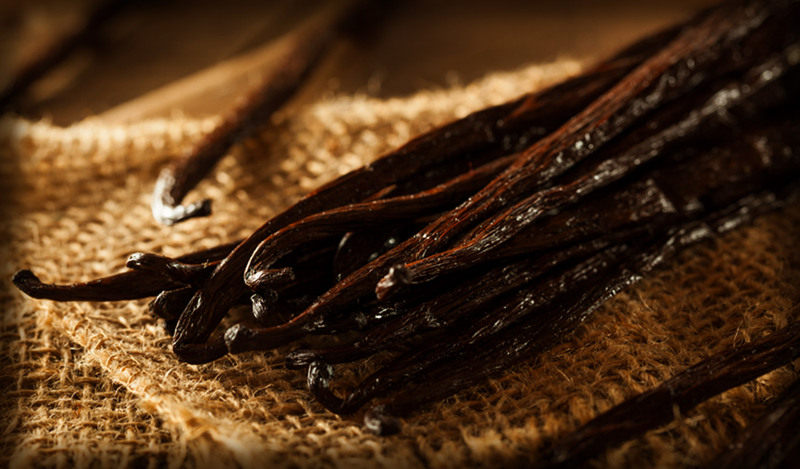 Raised on a tobacco farm, Captain Black left home at the age of 15 to become a sailor on the high seas. One with the water, salt and sun, he quickly became known as the “tobacco flavor scout,” in search of the finest exotic flavors the world had to offer. Bringing Captain Black into the modern age meant refreshing the brand’s outdated iconography. This included reimagining his old wooden sailing ship as a sleek and speedy new schooner that would enable Captain Black to make his many journeys with ease. 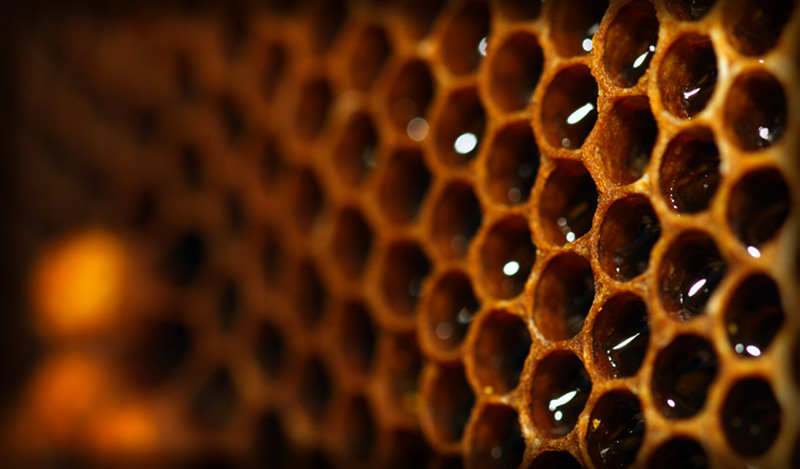 In order to appeal to both female and male consumers, paper textures and flavored tips were tested and selected to enhance the user experience. 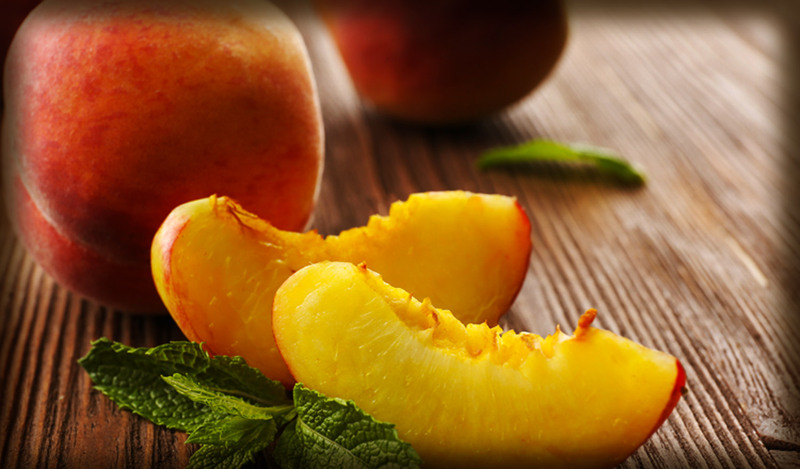 Leveraging the brand’s aromatic portfolio – including popular flavors such as Cherry, Peach, Vanilla and Honey – we were able to expand distribution in the Chain Convenience Store channel. 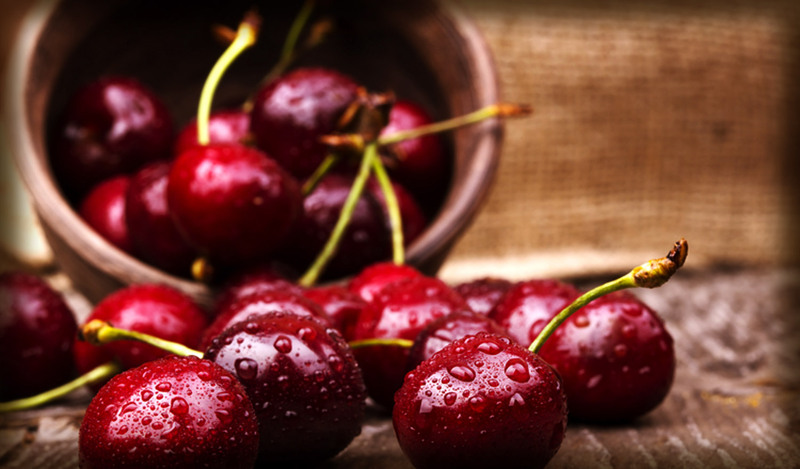 On-pack promotions were created to incent purchase drive loyalty while creating a sense of adventure. 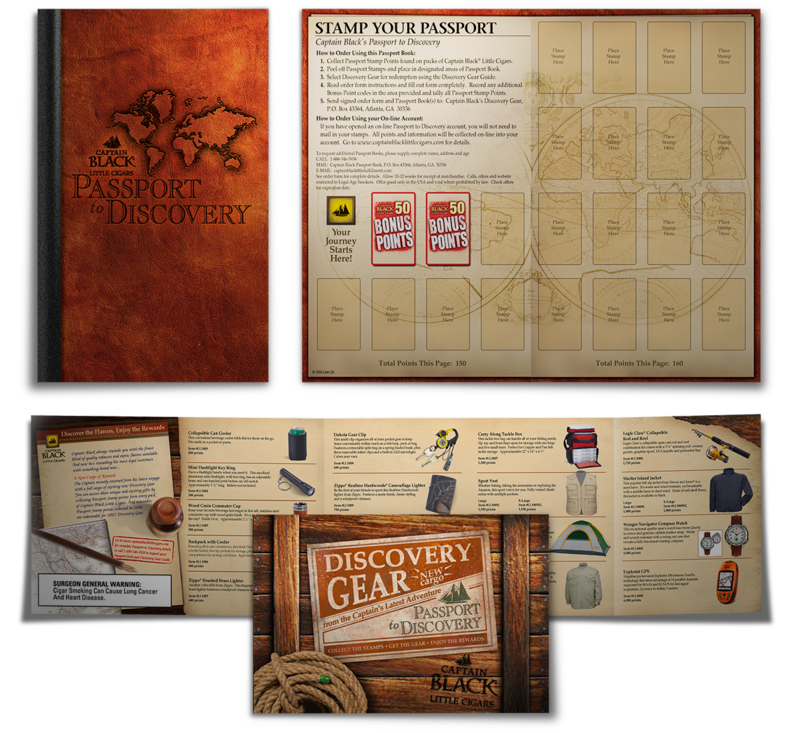 By accumulating points via “stamps” for their passports, consumers could trade them in for everything from fishing and camping gear to clothing and jewelry – helping to continue the Captain Black story beyond their product line.